Discover your skin’s true beauty with Ocean Quest Spa’s advanced treatment of vascular and pigmented lesions. This is a non-invasive, med-aesthetic system that effectively treats and clears vascular and pigmented lesions using safe, reliable and comfortable techniques. Intense Pulse Light (IPL) therapies can successfully treat a vast range of vascular and pigmented lesions, including telangiectasia, erythema, rosacea, broken capillaries, dyschromia, solar lentigo, mottled pigmentation, melasma and poikiloderma, and are ideal for all skin types and all age groups. This therapy targets and applies light to the affected areas, which coagulates the blood vessel and breaks the pigmented lesion into tiny particles. These then disappear or rise to the surface of the skin as scabs, which are naturally exfoliated within one to two weeks. Unlike alternatives — such as dermabrasion, laser resurfacing and chemical peels, which often carry adverse side effects — pulsed light technology is a safe, effective and fast way to treat lesions and restore skin to a cleaner, clearer, younger-looking texture. As an added benefit, it generally requires no downtime. Treatments are highly effective, often completely eliminating the lesions and restoring a fresher, clearer skin texture. 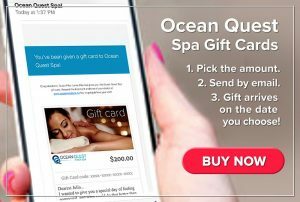 Call Ocean Quest Spa now at (709) 834-9199 to learn more, and to book your IPL sessions for vascular and pigmented lesions. You’ll love the results.